I posted recently on the installation process for 3.0 on a fresh install. Pretty smooth, though still a number of questions, especially around SQL Reporting Services. However,yesterday I started trying an upgrade from 1.2 to 3.0 on a Small Business Server 2003 box. Let me tell you: NOT FUN! This has (so far) been a two day process involving several restores and reinstallations of 1.2, hours on the phone with Microsoft, running custom scripts to clean up replication errors, re-running the 3.0 upgrade, etc. etc. Even after I got all green checks in the Upgrade Advisor, the upgrade failed. This has definitely not lived up to the hype of an easy upgrade. In addition to having to pay for a support incident with Microsoft, I have wasted two days on what was supposed to take no more than 6 hours. And I still have no working CRM system, either 1.2 or 3.0. I've seen a lot of people reporting similar headaches with the upgrade process on the newsgroup. What I want to know is: Has anyone had a clean/by-the-book upgrade process without any headaches? Please leave a comment here, and tell us about your upgrade experience, your environment, etc. We recently did an upgrade from 1.2 to 3.0 with no problems. Upgrade took about 8 man hours, and we did have to do a little tweaking in order to get all the green lights prior to the upgrade. We even had several custom changes that were done in 1.2 that carried over to 3.0. My opinion the 3.0 product is heads and shoulders above 1.2. Anyone that had true remote sales force will appreciate the much improve sync process. Last year we rolled out 1.2 to 20 laptops (non domain laptops, don't ask how) and the process took 6 people four days working 12-15 hour days to complete. 3.0 rollout last week to 20 laptops, took 2 people a day and half working 8 hour days. My upgrade from 1.2 to 3.0 blew up also. Our AD and Exchange servers are tied together so restoring 1.2 would have been harder than it should be. We installed 3.0 fresh and used Scribe to import from the 1.2 SQL databases into our new server. Thankfully we were only using it a little bit so the lost data was okay. Everyone is loving 3.0 anyway. Some issues with new email router (totally different than 1.2 email router, advice is to read up on how it works) and security. Had jscript on the opportunities form to perform some calculations that quit working. MS support helped out with that, there are some changes how CRM interprets JScript. My advice would be to test out Jscript first on a test box. Some issues with 3rd party add ons, they weren't quite ready yet, but the ISV resolved that quickly. I spent about 2-3 days total at the client. Biggest headache was upgrading all workstations to latest service packs, etc before CRM for outlook would install. Having spent years doing Great Plains upgrades, my advice would be to redeploy to a test environment, run the upgrade process, test upgrade and customizations and then upgrade on live. Looking forward to getting all my clients off 1.2 and on 3.0. "I've had two upgrades so far and two data migrations involving 3.0. The first upgrade was a pain due to the replication not getting properly disabled during the upgrade. The second upgrade was smooth as silk and the migrations have been really smooth due the Scribe migration tool. I found that if I made sure that I met the hardware and software requirements and configurations ahead of time, it went well. For these first four gigs, I've had the opportunity to also do a lot of work using all facets of MSCRM's existing and enhanced customization features in 3.0. To be honest, I'm very satisfied with it in comparison to 1.2. There are subtle things that I find a bit annoying such as the fact that I cannot interact with the line items of an opportunity, quote, order or invoice during workflow without cutting code. However, the enhanced flexibility across the product and the improvements to the Outlook Client absolutely make it worthwhile to implement." 3 upgrade attempts. 3 painful rollbacks. We decided to pay MBS to convert the 1.2 data to 3.0 data. Did a clean 3.0 installation with the 3.0 data and finally moved on with our lives. I have since performed several other installs and upgrades from 1.2 to 3.0, and they have all gone much smoother than the first one I did on a Small Business Server. Part of that may be due to having learned some lessons, but I also suspect that the first upgrade I did was in an environment that was heavily "modified." My satisfaction with Microsoft CRM 3.0 continues to increase, as does that of the clients I have worked with. This is not to say that there aren't some hiccups along the way, but it's early days, and MS continues to crank out some great tools and KB articles on 3.0. 10:03:02| Info| Microsoft CRM 3.0 Server Setup Failed. 10:03:02| Info| Microsoft CRM 3.0 Server Setup Setup did not complete successfully. The DDL statement cannot be performed at the Subscriber or Republisher. The DDL operation failed inside merge DDL replication manipulation. error during installation. At like 45% after it checked to see that all my configurations were good. It’s kind of funny because the fix is to disable replication publication and run the sql statements. The problem is replication /publication isn't in sql 2005 and therefore I cannot turn it off. I didn’t however leave the compatibility to 8.0 and run the statements. Yet I am still having the same error. :( :( What should I do? 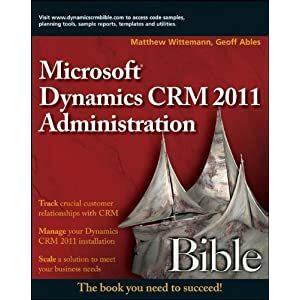 Is there some way to recover the customizations done on CRM 1.2 during system down time. I am in the process of doing my first upgrade from 1.2 to 3.0. The goal is to redeploy 1.2 to a new environment first. The new environment will use the same Domain and AD but will have a new SQL/CRM server. What about exchange? We don't have another box for it. Do we have to have it in our test environment. If we only lose ablility for Outlook client and router, I think we are okay. Also, new SQL sever is on SQL05 box. How/When should we make that change? Because 1.2 is not supported on SQL Server 2005 (I think - it's been a while), I would consider doing an in-place upgrade to 3.0 first, and testing all of your functionality. Then use the 3.0 redeployment tool on the CD to redeploy to your new server. When you restore your databases (moving them from your SQL 2000 environment to SQL 2005, it should go smoothly. Also, the Exchange router is not essential if you don't mind the lost functionality. You can leave it off on your new install.